Former Terrier assistant captain Danny O'Regan scored his first NHL goal on Saturday night in San Jose. The Needham, Massachusetts native's power play goal came on a deflection and closed out the scoring as the Sharks defeated the Calgary Flames, 3-1. That milestone came three days after he was named to the 2016-2017 AHL All-Rookie Team. O'Regan had played with the AHL affiliate San Jose Barracuda this past season and had two prior call-ups (each for one game) to the Sharks in November and March. Former Terriers Wade Megan and David Warsofsky were named to the 2016-2017 AHL First and Second All-Star Teams, respectively. Megan played for BU from 2009 thru 2013, had a 49-34-83 scoring line in 151 games, and was captain his senior year. Warsofsky was a three-year defenseman (2008-2011) for BU and helped the Terriers win a national championship in his freshman year. Recently departed Jakob Forsbacka Karlsson made his Bruins debut on Saturday afternoon and became the 80th Terrier to play in the NHL; however his Bruins lost their regular season finale to Washington, 3-1. Capitals defenseman and former Terrier Kevin Shattenkirk scored his 13th goal of the season, which proved to be the game-winner. Former Terrier Nick Bonino, whose goal sent the 2009 NCAA national championship game into overtime, opened the scoring on Sunday night with his 18th goal of the season, but the Penguins lost to the Rangers at Madison Square Garden, 3-2. A near lock for the USA NTDP team (that’ll be announced soon), Trevor Zegras is a high skilled attacker who can bring fans out of their seats. Using elusive skating moves and instant quickness in his acceleration, he’s a player who can create space and lead the offensive attack. He’s committed to Boston University so his OHL draft stock will fall significantly but he’d be an instant top 10 selection if he choose the Ontario route. There have been times this season where Alex Vlasic’s game showed a lot of rawness to it, notably in the beginning months. With that said, Vlasic looked like the top prospect in the draft at his recent USA NTDP Evaluation Camp, a program he’ll surely be spending time at as a lock for the team. He’s a towering pillar who has shown more offensive flare in his recent game, hitting teammates with outstanding seem passes up the gut. He’s an astute defensive defender who smartly uses his length to shut down gaps and eliminate rushes before they gather too much steam. As a Boston University commit, he’ll fall in the draft but he’s a top 10 selection based on talent and that’ll see him drafted in the middle rounds. 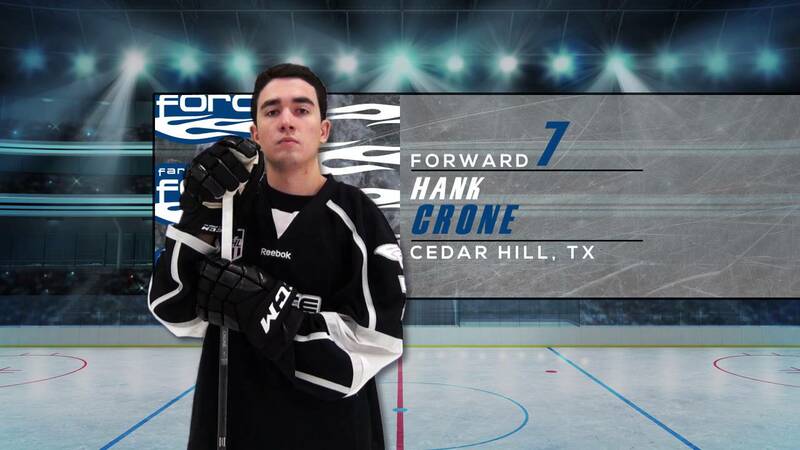 2017 recruit Hank Crone (above) had three assists Saturday night as the Fargo Force defeated the Waterloo Black Hawks, 4-3. The future Terrier now has 38 assists and is tied for third in the USHL scoring race, with 62 points. For the third consecutive year, BU Athletics saw an increased year-over-year final donation tally. The 2017 BU Giving Day raised $1,020,343 for the department. Men's Ice Hockey finished the day tied for third place with women's soccer for funds raised and, along with women's basketball, was named "Most Improved".